Flangeless, ribbed design with soft compound rubber. Great feeling grip for any type of riding.E.. 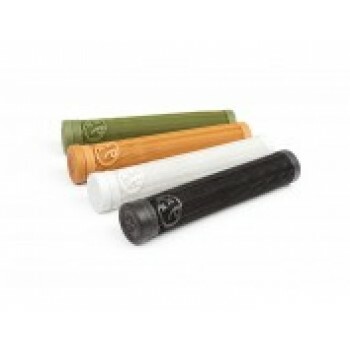 The David Grant Dunks are our new basketball inspired grips, featuring a super slim design..
Limited edition re-run of Eddie Cleveland’s signature grips are made in the USA by ODI from a Super .. Built using a simple ribbed pattern and symmetrical design, The Filter grip is one long lasting flan.. Built using a simple ribbed pattern and symmetrical design,The Filter grip is one long lasting flang..
Mike “Hucker” Clark brings his So Cal attitude to life with the new Signature Hucker Grips. Designed..
BMX Jake Seeley Grips Black Pair by Sunday..
BMX Jake Seeley Grips Black/Pink Swirl Pair by Sunday..